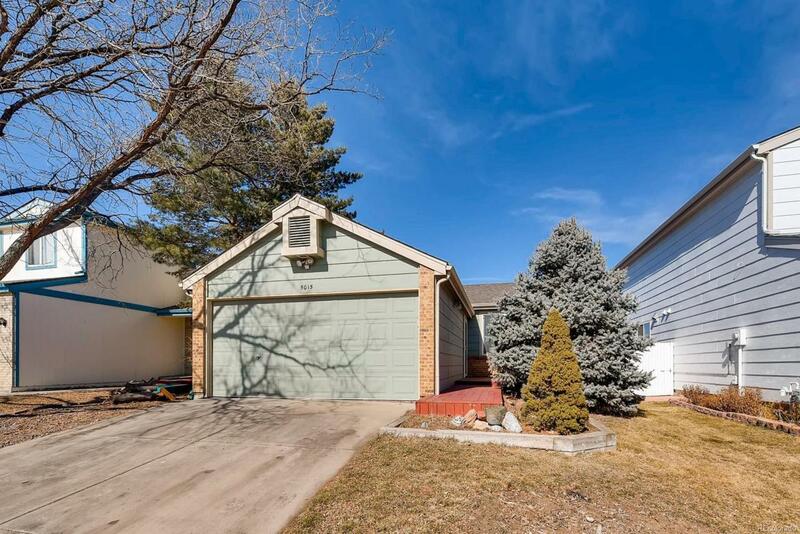 This beautiful move in ready ranch home has warm welcoming colors & functional features throughout. Its many windows provide great natural light to the open floor plan where you can easily converse with guests between the kitchen and living room. You'll love the spacious bedrooms, eat-in kitchen with maple cabinets & basement rec room which is a great flex space for fun, storage or hobbies. The home features can-lighting, six-panel doors, a mud room, central air, raised garden beds, and French doors that open off the kitchen to the back deck, which is perfect for entertaining. There is a beautiful front patio with a mature blue spruce that provides an element of privacy and shade. New roof '13, double pane vinyl windows '14, furnace '13 & a basement egress window for safety. Close to parks, open space, rec center, schools, shopping, & a mile away from a Light Rail station currently under construction. This home, which has been maintained with extra quality and care, can now be yours.